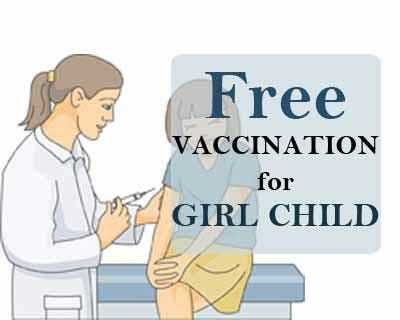 Pune: The trend-setting Medicare Foundation Multi speciality Hospital launched a unique initiative — free vaccination for all girls up to the age of five. On the first day, around one-and-half dozen girl children, some newborn and others recently born — both in this hospital and elsewhere, were administered the necessary vaccination doses free of cost. The president of the Foundation Ganesh Rakh said that henceforth all girls born in the hospital’s maternity wing as well as girls up to age of five from anywhere shall be entitled to free vaccination at this hospital in Hadapsar. “Normally, around a dozen different types of important vaccines are given to all children up to the age of five for immunity against various types of illnesses and diseases. The minimum cost of these vaccines is around Rs.30,000, plus the charges of the medicos and hospital where the doses are administered at required intervals,” Rakh told IANS. “All these vaccines are compulsory for the children as they prevent maximum number of diseases or infections in the tender age till five years,” Chavan explained. “The alarming situation is that in a family where there is also a male child, he is given all the required vaccination, but the female is deprived on flimsy excuses by the parents,” Rakh said.